This article first appeared in the Rushville Republican on September 26, 2017. For the 8th year, the Rush Memorial Hospital Foundation will host the annual Brian’s Cause – Together We Can event to raise monies that will assist RMH cancer patients in financial need during their cancer treatment. Over $21,000 has been dispersed to help RMH patients in financial need. One hundred percent of the event proceeds will go into the fund to help our cancer patients. Registration is online at http://getmeregistered.com/BriansCause. Registration forms are also available at any entrance to Rush Memorial Hospital, the RMH Medical Office Building, the RMH Foundation Office or the RMHF website: www.rushmemorialhospitalfoundation.com/Events. The cost is $25 and children under age 12 are free with a paid adult. Anytime Fitness is the sponsor for this year’s run/walk. Racemaker will be conducting the officially timed race for the serious runners. Check in begins at 7 a.m. and closes at 7:45a.m. Anytime Fitness will provide a warm up/pump up session prior to the official start. Timing devices will be provided at check in. It’s encouraged to wear a superhero costume as prizes will be given for best adult male and female superhero costume, best child male and female superhero costume, best group superhero costumes, and best family superhero costumes. Each participant in the 5K will receive a medal and official T-shirt. The course will run from the fairgrounds to 11th Street, along north Spencer Street, west 16th Street, through North Veterans Memorial Park, along 11th Street and back to the fairgrounds. This is a walk/run, so if walking is your preference you will be in the costume contest and will receive a medal and official T-shirt. 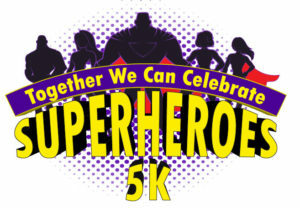 Enjoy the walk and support the superhero theme. Wagons, strollers, and wheelchairs are also welcomed in the 5K. The RCHS Student Council will be assisting with directions throughout the race. The RMHF Seed Circle will be providing a water station along the course. Actual Superheroes will be canvassing the event for many picture taking opportunities and there is a chance that a Batmobile may make an appearance. “This race will be so much fun if everyone gets in the ‘Superhero’ spirit. No matter how simple or elaborate – individuals, groups, or families – we can together celebrate our cancer survivors. Don’t let the costume part stop you from participating. We want everyone to come and enjoy the run/walk. It is a great event for a great cause,” Michele Gettinger, Brian’s Cause Chair and 5K committee member, said. The 5K is only one part of the fundraising event. A breakfast will be served by the RMH Cultivation Club. Music and a huge silent auction will be available for those that have registered for the 5K or the event. An official Brian’s Cause T-shirt is provided with the registration fee. Register early to ensure a T-shirt. Look for more details about additional activities in upcoming articles. It will be a fun filled morning with all activities beginning at 8am and the Brian’s Cause event wrapping up at 11 a.m. Get your family and friends together for a super morning to support a super cause, and celebrate our heroes – our cancer survivors. Get your capes ready and Bam – Pow – Boom…help the RMH Foundation reach its goal to assist our Rush Memorial Hospital cancer patients. Contact the RMH Foundation at 765-932-7568 with any questions.